3. URL of spoof website disguised as "REQUEST SECURE CODE". 4. Real URL looks nothing like Suntrust. 5. Website traced to Selangor, Malaysia .
" 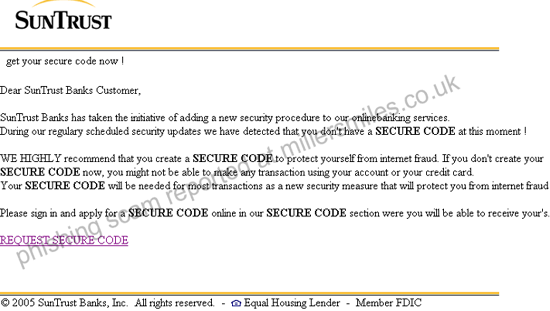 Dear SunTrust Banks Customer, SunTrust Banks has taken the initiative of adding a new security procedure to our onlinebanking services."